Selznick, Brian. Very Good. 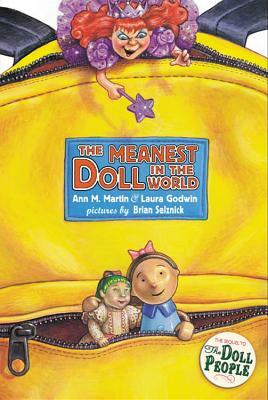 The Meanest Doll in the World (Doll People) by Godwin, Laura, 2005-05-01. Trade paperback (US). Glued binding. 260 p. Contains: Illustrations. Doll People, 2. Intended for a juvenile audience. Selznick, Brian. Good. The Meanest Doll in the World (Doll People) by Godwin, Laura, 2005-05-01. Trade paperback (US). Glued binding. 260 p. Contains: Illustrations. Doll People, 2. Intended for a juvenile audience.